Why Worthtax for Corporate Tax Return Preparation? Just for visiting our Corporate Tax Return Prep website, we have an exclusive offer for you. Download this file when you call to make your appointment. 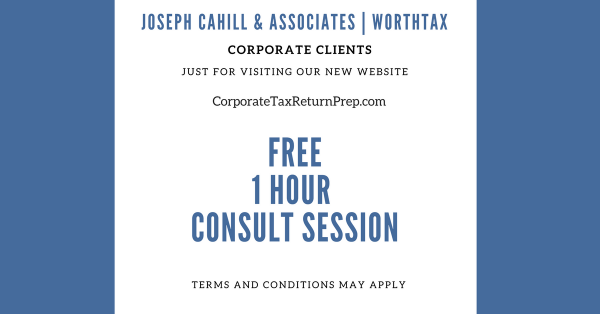 Bring it with you when you visit one of our convenient locations and you will receive a 1 Hour FREE Consultation with one of our tax experts. Feel free to schedule your appointment online! * See Client Discounts page for details. 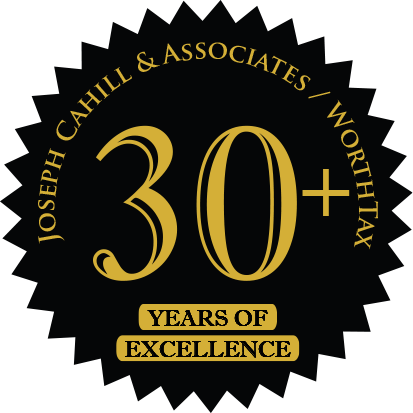 With 30 years of experience helping businesses strengthen their financial resources, WorthTax meets all the requirements necessary to complete your tax return both quickly and accurately. 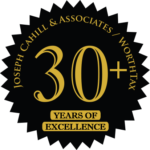 We are so confident of our process that we will offer a 50% discount on your business tax return your first year with us when we complete both your personal and business returns. 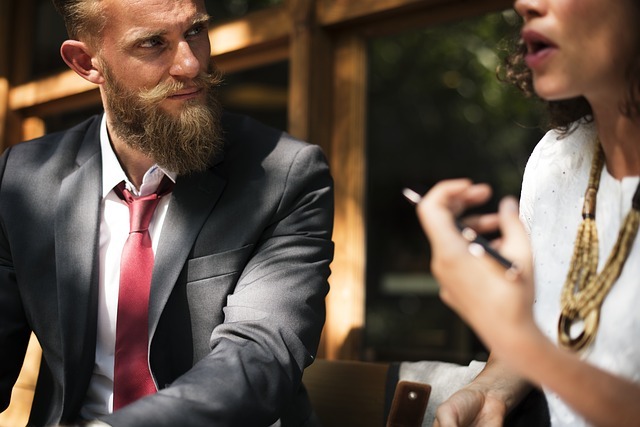 Ready to get started on your corporate taxes? Start Off 2019 Tax Year Right! Get started now on your corporate taxes.